There’s an abundance of Wedding jewelry in the market. One can find a range of precious stones and jewels in different shapes and color which only enhances the aesthetic appeal of the Wedding jewelry. However, of late, Wedding bands have come in a lot of demand. It is quite easy to confuse a Wedding band with a Wedding ring. Especially, if you are not too familiar with the world of Jewelry. Wedding bands, today, are available in so many appealing options that it makes the choice a bit too difficult. There are many who even prefer a Wedding Band over the traditional Wedding ring. Now, if you are looking to buy Wedding bands, here are different types of Wedding bands in the market which should make your choice a tad bit easy. Contour Wedding band can be deemed as an enhancement of an Engagement ring. The Contour Wedding Band have a unique design with the contours of the wedding band customized to match the contours of an Engagement ring. Contour rings have a unique appeal which makes it perfectly matched with your engagement ring. Also, contour wedding bands are do not fall off easily by spinning. Anniversary bands are called so for a reason. You need not to fret over every time looking out for the perfect gift for your better half. Pick the Anniversary band to show your love. Be it Gold, Diamond, Sapphire or other precious stone, you can find the best Anniversary Band with ease. The Ring wrap is known by many names such as Ring enhancers, ring guards or curved rings. A ring wrap accentuates the wedding ring. The only pre-requisite to choose a ring wrap is to know what you are looking for. 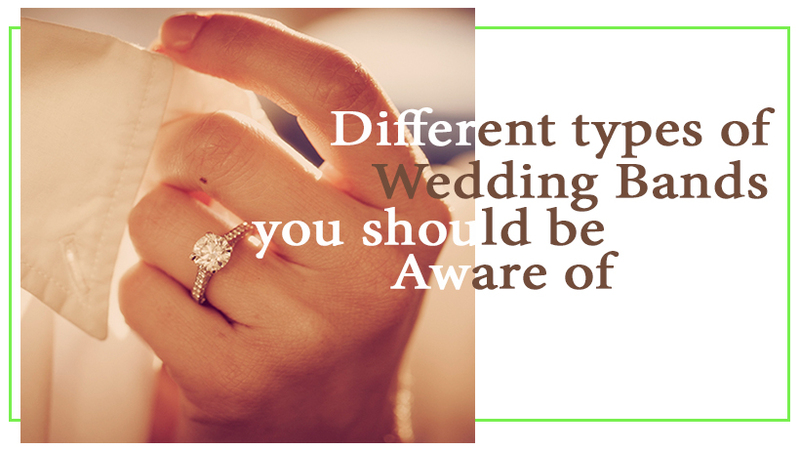 Especially, the type of Wedding ring or engagement ring you will pair it up with. These are generally designed to be paired up with solitaire diamond rings. So, go ahead and check out the wide range of Wedding bands you can buy. Wedding band are a perfect gift option and even if you are looking to surprise your loved ones you can put all your concerns at bay and choose the best Wedding band which appeals to your eyes at Hello diamonds.